Yeshi Neumann has been working as a midwife since 1970. 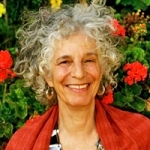 In 2000, she created Homestyle Midwifery, a unique model of care, blending home and hospital birth. In addition to her work in the United States, Yeshi has taught and learned from midwives in Mexico, Nicaragua, Guatemala, Trinidad, Tibet, Morocco, India, and China. For many years she was the principal educator of the maternal-child health project, Jungle Mamas, in the Amazonian rainforest in Ecuador. Yeshi has facilitated hundreds of workshops about women's leadership, diversity, conflict resolution, organizational development, communication and healing family relationships Yeshi also trains social change leaders from the non-profit, philanthropic, labor and socially responsible business sectors in the Art of Leadership at Rockwood Leadership Institute. Yeshi is a dedicated student and practitioner of Mindfulness. She teaches Mindfulness-Based Childbirth and Parenting. Yeshi is the mother of two daughters and the grandmother of three granddaughters, all of whom were born into her own hands. Women know that it deeply matters how they give birth to their children. The birth profoundly affects the child’s life and how a mother mother’s her child as well as a mother’s own deep sense of herself. Each birth also profoundly affects the midwife who has cared for a woman and her baby. This class is for both birth givers and their midwives. If you are experiencing the effects of a difficult, disappointing or traumatic birth, either as a woman who has given birth or as a midwife , you are invited to join this class. This class will describe the elements of a difficult disappointing or traumatic birth as a basis for understanding what is involved in healing from such a birth. It will also provide an emotionally safe, non-judgmental space for you as a participant do some restorative and empowering work.